A leading business executive, Petra Buchanan, has been appointed as the new Chief Executive Officer of the high profile breast cancer support charity, the McGrath Foundation. 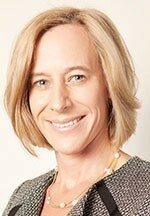 New McGrath Foundation CEO Petra Buchanan. Co-Founder and President Glenn McGrath said welcomed the appointment of Petra Buchanan and pointed to her international business experience and marketing expertise. Buchanan has most recently been CEO for ASTRA, where she influenced female board membership as well as leading an ASTRA Graduate Program and Subscription TV Production Investment Survey. Recently she was awarded the 2013 B&T Women in Media Award for Mentoring and is recognised globally for her expertise in growth and development of brands that connect people through content and technology. “Petra brings more than 20 years global experience working to develop and build awareness for leading brands. She has been extensively involved in the media, television and technology sectors in Australia and internationally, working to actively engage and connect people through content and digital initiatives,” Glenn McGrath said. The Foundation was establishment in 2005 by cricketing great Glenn McGrath and his wife Jane. Today, the McGrath Foundation funds 100 McGrath Breast Care Nurses nationally. “This network has supported over 25,000 families through their breast cancer experience and through an innovative breast awareness education program, is striving to ensure young Australians are breast aware,” the Foundation said. “With Petra’s established expertise, the McGrath Foundation will be led into a new development phase to diversify and increase funding to ensure that the support of a McGrath Breast Care Nurse is available to every family experiencing breast cancer nationally,” Glenn McGrath said. Chairman John Conde said Buchanan had an enviable reputation for achievement that would be important in leading the McGrath Foundation at this critical stage in its development. “I am confident her strong leadership and commitment will drive the McGrath Foundation to new levels of service in our community, increasing the funding base and number of McGrath Breast Care Nurses, while championing the importance of breast awareness among young Australians,” Conde said. Buchanan’s executive background includes roles as: CEO of the Australian Subscription Television Association (ASTRA), Vice President of Marketing and Communications for Unisys Asia Pacific and nearly a decade with Discovery Communications on the global roll-out of the Discovery Channel. She is also the Co-Founder of TuShare, a free online sharing platform where people can give things that they no longer need to one another. Buchanan takes over from Kylea Tink who resigned from the Foundation earlier in the year. “I acknowledge also at this time the previous leadership of Kylea Tink, our inaugural CEO, who worked tirelessly over the past five years during the most successful establishment phase of the McGrath Foundation,” Conde said. Petra Buchanan said it was a rare opportunity to be able to join an organisation with the reputation and impact of the McGrath Foundation. “Drawing on my passion for creating strong brands with meaning, I look forward to contributing to the future growth of the Foundation and the assistance we can provide to those experiencing breast cancer,” she said.